If you just like writing, you can write for some blogs like ours .If you want to own a blog, then you can start with tumblr,quora and others just for free. If you consider making some real cash or making a reference for information then you can get started with our blogging guide. At this point we can take you starting you won blog in 5 minutes. The easiest place to get started with blogging is blogger.com. Just sign in follow some simple instruction and get your articles published. Blogs design with blogger default templates looks scary in the eyes of readers and does not equally make your blog look professional. To make it rock, Investing about 50-100k FCFA in your blog can make it look great and interactive. This involve purchasing a domain and getting a professional design for your blogger blog. We can assist you at a very good price if you need our help. Getting started here is easy. You just need a domain name + a gmail account and that is it. It good to start here of you lack coding knowledge. While on blogger, it is good you think of how to get a slef hosted blog if you want to expand you blogging business. That is it to start blogging with blogger. So what about the more serious guys who are looking forward to own their business, create a store, own their domain name, hosting and others? 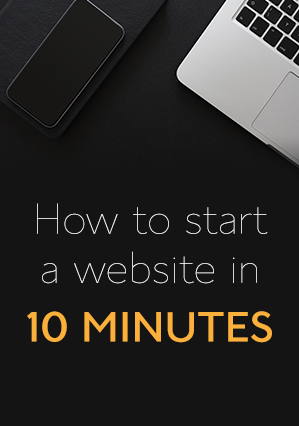 The great place to get started is with wordpress.org. don’t mix this with the free wordpress.org service. With this you should budget at least 100k FCFA to buy your hosting and some plugins to get started. EVEN without experience you can spend some time to learn how to build a website with word press. If you are still disturbed, you can take my word press course which cost 25k in which you will get access to live videos and e books. But you can still do it without the course and do it well. I will be sharing with you some tips on word press blog so that we can all get Cameroon on the web.